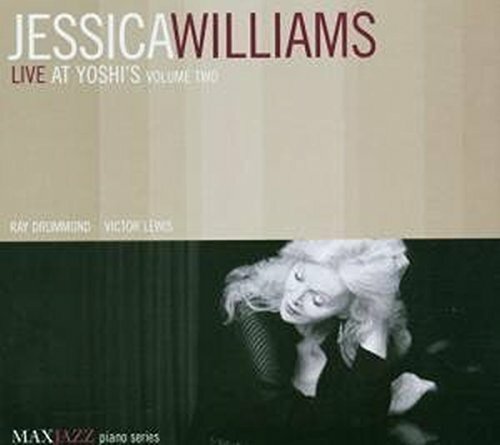 Recorded July 9-10, 2003, at Yoshi’s at Jack London Square – one of the world’s finest jazz clubs - Live At Yoshi’s (Volume Two) offers an exquisite set of music. Williams’ long-running trio of Ray Drummond on bass and Victor Lewis on drums brings the music to a high level. Williams opens the CD with an entrancing intro on "Flamenco Sketches" by Miles Davis. She picks up the pace on "Why Do I Love You" by Oscar Hammerstein and Jerome Kern. The trio gently sways on "Spoken Softly" the first original offering by Williams that she dedicates to her friend and teacher, the late Tony Williams. The upbeat and swinging original, "Elbow Room," follows and displays the cohesiveness of the trio. She dedicates this composition to John Coltrane, who she regards as her "musical light." The pace slows again for "Soldaji," a thoughtfully expressive original composition that she dedicates to her dear, recently departed Watson, who was an "Ancient Wise One" in a Scottish Terrier's body. The trio swings with great energy on the standard "Paul’s Pal" by Sonny Rollins. Williams then offers another slow, intimate opening solo, this time to begin her final original composition "Dear Gaylord," which she dedicates to musician and collaborator Gaylord Birch. The trio picks it up with a playful rendition of "Lulu’s Back In Town," by Al Dubin and Harry Warren. Williams closes the set with a beautiful version of the classic "Summertime." If you have any questions about this product by MAXJAZZ, contact us by completing and submitting the form below. If you are looking for a specif part number, please include it with your message.